The debilitating nature of rheumatoid arthritis and related conditions is something which should be at the forefront of all practitioners diagnosing and caring for patients with the condition. This is especially so as the British Society for Rheumatology’s (BSR) first audit in the area has found that early referral and assessment by rheumatology services is essential for preventing disability from the condition. Their audit has found that many patients in England and Wales experience long waiting times which fall outside the guidelines set by the National Institute for Clinical Excellence (NICE). The findings of the audit showed that 1 in 6 patients received a referral to rheumatology services within three days but 1 in 4 waited more than three months for a referral from their GP. 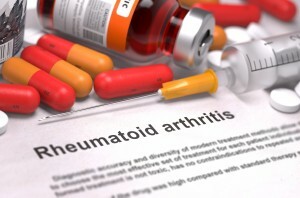 38% of patients were also able to see rheumatology within three weeks of their referral. More than 50% of all patients were treated with disease modifying anti-rheumatic drugs regardless of whether they were seen within three weeks of their referral and all of these results were matched against NICE Quality Standards to measure whether patients were receiving the level of care considered the basic standard. Rheumatology services should assess ways in which they can increase clinical capacity making access to their services quicker, ensuring patients are provided with care plans and packages to suit their situation. Diagnosing rheumatoid and inflammatory arthritis early can make all the difference in the treatment of the condition and the management of pain levels. There are many different treatments available which you can discuss in depth to work out which is right for your situation and there are plenty of lifestyle changes that can be made to which have a positive impact on the condition. Once a diagnosis has been confirmed you are in a better position to know how to move forward but it is integral that this diagnosis is made as early as possible to help maintain the best possible quality of life for every patient diagnosed with the condition. To discuss any concerns you have about rheumatoid or inflammatory arthritis and to make an appointment with Dr Stephanie Barrett please just get in touch.